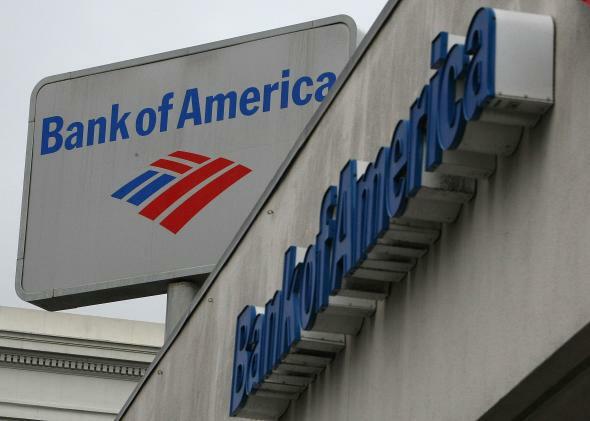 Bank of America settlement: $17 billion over selling mortgage-backed securities. The settlement is a big headliner for the Justice Deparment. It’s been a boring day for Bank of America’s stock. Shares dipped a bit after the Fed released minutes from its latest policy meeting but have basically stayed flat (up less than 1 percent) through the afternoon. In fact, if you glanced at Bank of America’s stock, you’d have no idea that the company just agreed to a record $17 billion settlement with the U.S. government over sales of mortgage-backed securities. How could an agreement like this barely budge the stock? For starters, investors had probably already priced it in. Rumors have been circulating for some time that Bank of America and the Justice Department were in talks to settle for many billions of dollars. A $13 billion figure was tossed around in July and was followed by reports of a $16 billion or $17 billion deal. Now that the settlement has finally become official, it already feels like old news. The other reason the market probably isn’t balking is that huge settlements from banks over mortgage-backed securities probes and other financial-crisis-related issues have become the status quo. Just one month ago, Citigroup agreed to turn over $7 billion to the Justice Department to settle claims that it deliberately misled investors with its mortgage packaging and repackaging processes. JPMorgan sealed a $13 billion dollar deal earlier this year. And here’s one last point to keep in mind about that big headliner figure: The settlement might be for $17 billion, but only $10 billion will be paid out in cash, and the rest in “consumer relief” valued at $7 billion. When potential tax deductions and clever bookkeeping is taken into account, a $17 billion settlement might end up costing Bank of America a whole lot less than that.